What if the hotel ownership changes? 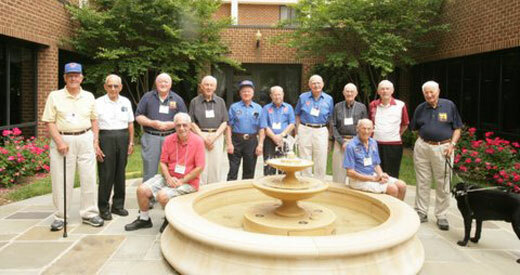 446th Bomb Group Reunion in Fairfax County, Virginia. Q? 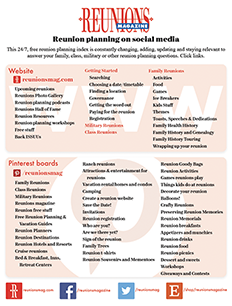 One Reunions forum participant posed this dilemma. I went to the Hampton Inn to sign the hotel contract for the block of rooms I wanted to reserve. I had the pen ready to sign, but I am very careful about signing my name to anything. When the sales manager gave me the contract, she told me they are going to be changing from the Hampton Inn to the Lexington Hotel in April. Upon hearing this, I dropped the pen immediately. I didn’t sign anything. I have never heard of the Lexington Hotel. The contract still has the Hampton Inn name on the header. I’m concerned. Will the same people be working there? Will the contract still be honored? Will we still get the same rate or will it be increased? Will we have more amenities or less after the change takes place? But have any of you signed a contract for a block of rooms and then the hotel went through management or name changes? How did you handle that type of situation? Should I sign this contract or go look for another hotel? A! We turned to Dean Miller, National Sales Manager, Visit Fairfax (Virginia), for seasoned advice to respond to this entry on our web forum. Miller said the question is a good one, as hotels occasionally do experience changes in ownership, changes in management, or both. The new owners/managers may choose not to honor any contracts that the previous ownership/management company had entered into. Additionally, the new ownership/management may choose to charge for items which had previously been provided “free” or bundled into the room rate, such as breakfast, parking, pool and health club usage, etc. you should never sign a contract you haven’t read. you should never sign a contract you don’t understand. you should never sign a contract if you feel you are being “pressured” into signing. the hotel enters into any bankruptcy, foreclosure or re-organization proceedings. This does not mean that the client should (or will) cancel their event if there is a change in the hotel’s ownership/management. In many cases, the new ownership/management will choose to honor all existing agreements with their clients, and business will go on as usual. It merely allows clients the option to change their mind and seek another hotel, if the change results in new terms or conditions unfavorable to the clients. If the hotel declines to include such a clause in the contract, it may be wise to select another hotel.